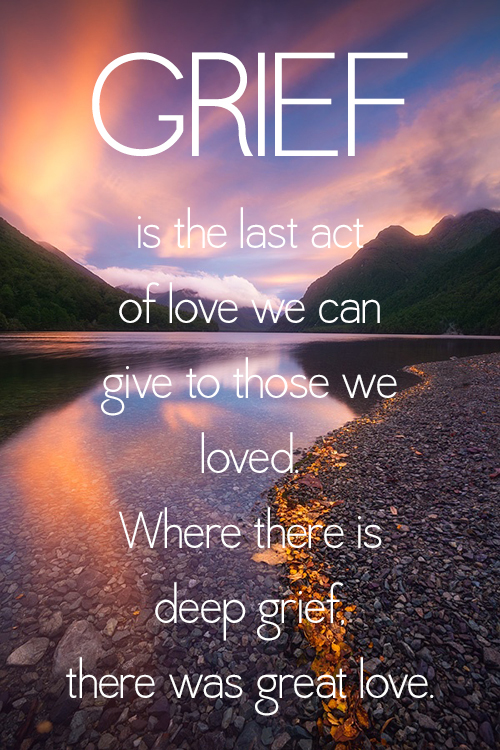 As mentioned previously, our cultural practices and understandings of grief often do little to help the bereaved. We gather together for contrived rituals of common mourning and remembrance, after which those with marginal relationships to the deceased may continue on in their lives with relative ease. This in itself is not problematic; rather, the issue arises when everyone expects those who are most intimately affected by the loss to “move on” in a similar way. Likewise, we say curious things to those who are in mourning. We tell the bereaved how “strong” and “brave” they are and speak highly of those who are seemingly able to resolve their grief quickly and integrate back into “normal” day to day life. We say how “well” they are coping when they are back to presenting as their “old selves” within a given time frame. But let’s be honest. Do we really believe that the bereaved continue on in this way when they are at home, hidden from polite society, with only their emotions and the absence of their lost loved one to contend with? It seems that the compliments we pay to those who “cope well” after loss are a hollow endorsement for maintaining our cultural commitment to the privatization of grief. They reflect the fact that many of us are deeply uncomfortable with the raw emotions that accompany loss. When we expect the bereaved to “move on” and be back to their “old selves” by a particular time, we are asking them to suppress their emotions and pretend like the person they loved and lost never existed. To grieve authentically and without apology is not brave or strong, just as it is not a sign of weakness or pathology. Rather, it is an act which allows us to be fundamentally human in coping with our losses. Privatizing grief does nothing to help the bereaved, who desperately need to forge connections with others more so than ever before. Rather, it is something that protects the rest of us from the potentially uncomfortable act of truly connecting and empathizing with the person in mourning. My experience indicates that this propensity to privatize grief is exacerbated during instances of pregnancy and infant loss. We often feel like we should cloak these losses in silence and shame, perpetuating the stigma that already surrounds them. Case in point: Before my pregnancy with Leah I had taken a multi-year hiatus from all social media platforms. Several weeks before my due date, I decided to re-join Facebook so that I could keep family and friends abreast of Leah’s milestones and connect with other mothers. When I returned home from the hospital without my baby girl, one of my first thoughts was “Great. I went back on Facebook to let everyone know about my baby, and now she’s gone.” My initial instinct was to deactivate my account and carry this loss in silence and shame. Luckily it did not take long for me to realize the absurdity of this notion. Leah’s death was not a personal failure or a momentary blip in my life story to be tucked away. I wanted to shout her name from the rooftops and let everyone know how beautiful and strong she was. I was not ashamed of loving my daughter or bringing her into the world, so why would I want to hide this reality? Refusing to speak about Leah does not alleviate my sadness any more than it changes the fact that she existed and left this life far too soon. And so, rather than privatize my grief, I decided to share it authentically and unapologetically with anyone who would listen, just as I continue to do on this blog. I created Loss Mama for several reasons. I have needed to engage with my grieving emotions in a genuine and productive way, and for me writing is an important part of that process. Likewise, I wanted to honour Leah’s life by sharing her story with everyone I could. But I also wanted to create a space where other loss mamas can pay tribute to their children by grieving for them openly and without apology. And so I am delighted to share that, now and again, this blog will feature guest posts from fellow loss mamas who have generously agreed to share their journeys with me.